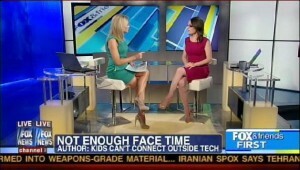 FOX & Friends First Parenting Expert Dr. Karen Ruskin – Social Media Negatively Impact Your Kids? 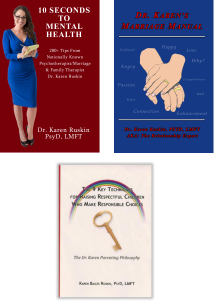 FOX & Friends First host Heather Nauert interviewed this parenting expert; Dr. Karen Ruskin on May 29th 2012. Topic: Social Media Negatively Impact Your Kids? During this interview I shared my theory that technology is not to blame for the challenge of teens and our youth culture who struggle with communication. Although the various tools of technology (Facebook, Texting, Ipod, Ipad, . . . ) can indeed play a role in impacting communication, connection, and how our your culture interacts, it is up to parents to help our children to have a healthy balance between Tech Time and Face Time. If you wish to read my blog article where I expand upon my interview talking points documenting the top 5 strategies parents can use and the top 3 warning signs, click here. Previous post: Kids and Technology: Too Plugged In?